Give that young man an Oscar already. I’ve always struggled with afflicted kids. Whether they are children in poverty or ill health, I’ve never known how to come to terms with the challenges they face. I have enough trouble coping with life from my own privileged position on the planet that I can’t grasp how the less fortunate are able to triumph. 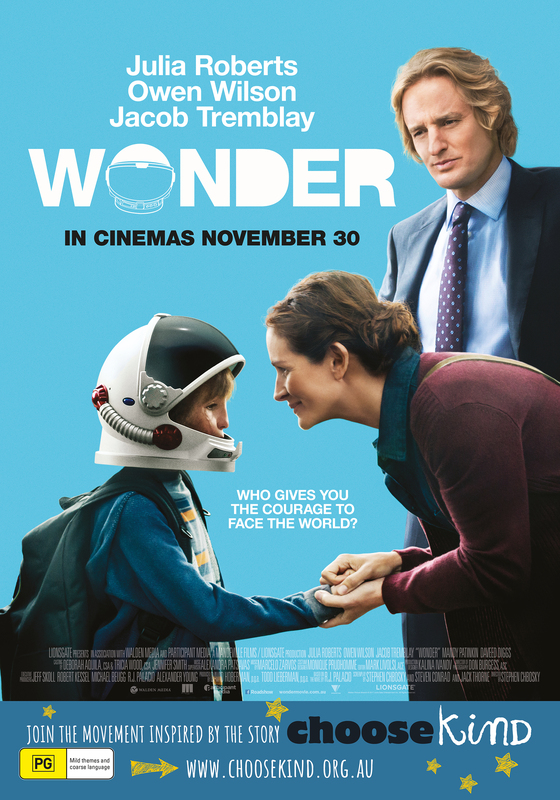 Wonder is the story of August “Auggie” Pullman, a boy who lives with his parents and sister in Manhattan. From birth, he has an extremely rare medical facial deformity, and even after over two dozen surgical procedures, his face is still disfigured. You can imagine the trepidation for this boy who has been home schooled for several years, as he reaches a point in his life where he must attend a local school and interact with his peers. His trepidation is a fraction of that felt by his mother Isabel (Julia Roberts, who frankly should be in every single movie) and his Dad Nate (tremendously inhabited by Owen Wilson). Jacob Tremblay, who was astonishing in Room, is simply amazing as Auggie, and the performances from the children in this film are first rate. Visiting the school ahead of term starting, he meets three kids who have been roped into showing him around to get a feel for things. One of the kids is a girl who wants to be in show business and can’t stop talking about herself, partly out of nerves of being around this unusual looking lad. The next kid is a “trust fund baby”, who becomes Auggie’s nemesis. The last kid helping to acclimatise Auggie to the new environment is Jack. He and Auggie are able to initiate a genuine friendship until one of them betrays the trust of the other. This film had a powerful effect on me and when I wasn’t crying I was laughing, and when I wasn’t laughing I was crying. 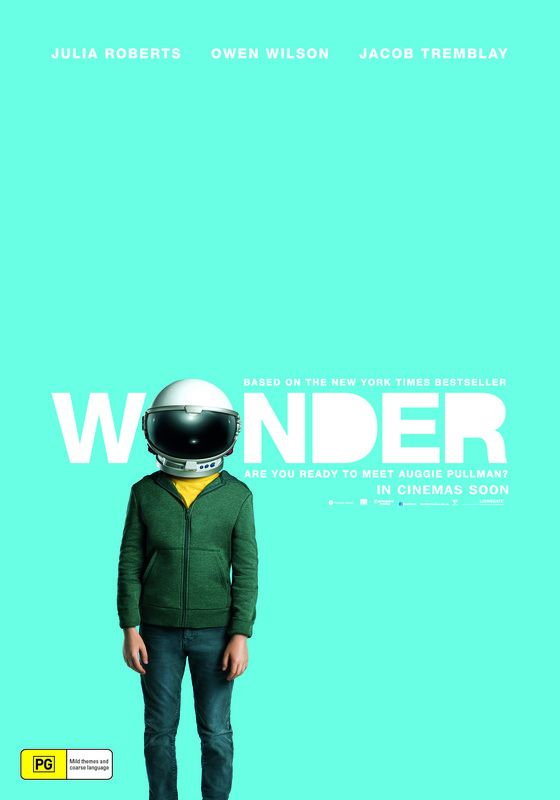 Ultimately, Wonder is a story about kindness and how we choose to be kind or not. The novel was a New York Times Best Seller and this is absolutely an essential story for all kids (and adults!) to see how our behaviour and attitudes impact others.